Opperbacco was founded by Luigi Recchiuti in 2009 near Notaresco in Abruzzo province. It is in a beautiful location between the Gran Sasso mountains and the Adriatic sea, using the barn from his father`s old farmhouse surrounded by olive orchards, vineyards, and wheat and barley fields. The water that flows down from the mountains to the sea is perfect water and is used untreated in 95% of Luigi`s beers. He is an agricultural scientist who became a homebrewer. He and Leo were fellow scientists who became homebrewing friends before they started their breweries. Opperbaccos beers have a similar approach to Borgo’s, fusing Belgian, English, Italian, and American influences to create artisitc beers full of the nuances and subtle flavors of fine wine. 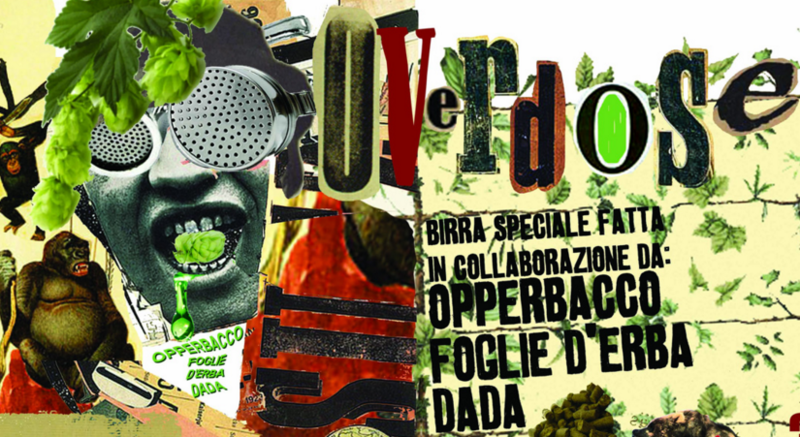 However, Opperbacco mixes in a little whimsy, and mystery, and rock and roll to create beers that are unique, fun, and full of style. To me, Borgo’s beers taste like Italy, full of culture, structure and elegance. Opperbacco`s beers taste like Luigi`s. They are Italian, yes, but they are utterly unique and original. I know of no other brewery making beer like these, which in this day and age of international craft beer cross-polinization is the highest compliment I can imagine. Kenzo from Gar Eden first recommended Opperbacco to me. I met Luigi at Birra del Borgo during my visit. Luigi heard we were coming and brought down two cases of beers for me to try. I fell in love right away. Every beer was unique, and had an original purpose and style. Maybe they were not all perfect, but they were all fresh and new, full of fun and creative flavors that worked on their own terms. Luigi does not follow any book, only his heart and his whimsy. He does not speak English so Paolo translated for us, but I could understand his meaning completely. He is passionate, soft-spoken, and humble, yet has a relaxed, cool presence. We tried beer after beer, and they all blew me away. Even if he created a Belgian white or a pale ale, it still was completely Luigi`s beer, the beer style being a mere baseline for him to put his melodies and harmonies on top of. His beers are part Classical music, part rock, and part experimental music; I love his taste in music and his style, and it is no surprise that i love his beers as well. Imagine listening to Tom Waits for the first time next to an Abruzzo mountain stream in the sunshine after a rainstorm. 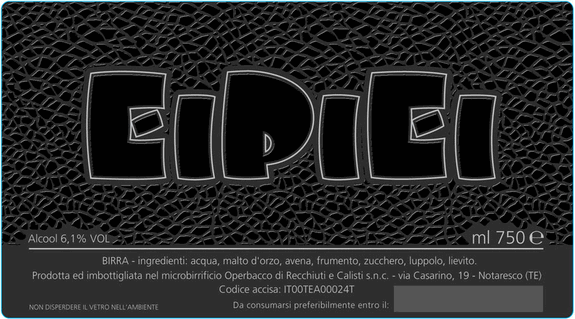 That is the beer of Opperbacco.